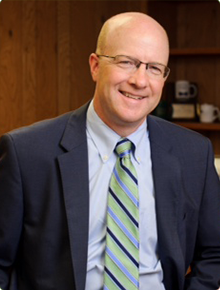 Mr. David M. Lawlor (“Dave”) has been the President and CEO of United Methodist Homes since 2011. He has a business background and has worked in the field of senior services for over 20-years. Dave choose to dedicate his career to helping others while in college. As an officer for the Habitat for Humanity Chapter of Ithaca College, Dave worked to obtain funding and approval to allow his fellow classmates to participate in a collegiate challenge to rebuild the small impoverished town of Coahoma, Mississippi. While traveling to Mississippi to work on his spring breaks, he began developing his personal vision to serve others with his business skills. Dave proceeded to become a manager in the healthcare consulting division of KPMG LLP, a global business advisory firm. In this capacity, he led interdisciplinary engagement teams of clinical, marketing and financial professionals. With KPMG, Dave advised not-for-profit clients throughout the country on their development plans, enabling them to expand and steward their missions. In 2000, he accepted the position as Chief Financial Officer of UMH. As CFO, Dave assisted UMH in achieving its strategic plans of expansion. In 2011, the long standing president of UMH retired, and the Board looked to him to lead the organization. Since his appointment, Dave has made many changes, repositioning UMH in response to the macro changes in our country’s health care delivery system. As part of these efforts, he has reinvigorated the mission of UMH to provide top quality, relationship-centered care; a mission that has guided this great organization over the past 140-years. Dave is a board member of the Connecticut Alliance for Long Term Care, the Connecticut Chapter of LeadingAge and St. Vincent’s School of Nursing, and is a member of the AICPA in Pennsylvania and Connecticut. Dave holds a BS in Accounting from Ithaca College, received management and executive training at KPMG LLP and Harvard Business School, and gerontology coursework from the University of Massachusetts. In his time away from UMH communities, Dave enjoys spending time with his wife Julie and attending their three children’s various activities. Dave enjoys cycling and likes golf, despite his mighty struggles on the course. Dave grew up in a family with seven children, and also has 5 brothers with whom he continues to share good-natured, brotherly rivalries. In 1998, Beth drove past an assisted living community construction site, learned that it was part of UMH and realized the next stop on her professional journey was to work for a mission driven organization. Soon after, she joined the team as Executive Director of the Middlewoods of Farmington community. Beth later served as Regional Manager for the Middlewoods properties before accepting her current role. Her professional background includes work as an Activities Director and Marketing & Sales Director. This varied work experience and her work as a culture-change specialist with a focus on creating relationship-centered environments helps her to work with staff and residents to create environment where residents not only live but have a meaningful life. In addition to her work at UMH, she is on the Board for the Connecticut Assisted Living Association. Her background as a Gerontologist and interest in the social, cultural and spiritual aspects of aging help Beth to understand what our residents and families are going through. She has presented on creative culture change initiatives at Pioneer Network and Planetree Conferences and more locally for the Consortium for Gerontological Education. In her spare time, Beth most enjoys spending time with her family. When not attending one of her children’s extra-curricular sporting events, she can be found in the kitchen cooking up a home-made soup or baking her special chocolate cake. 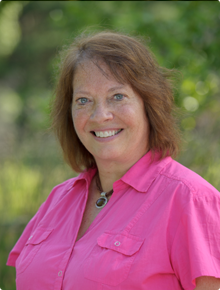 Beth enjoys swimming and walking, writing and reading, most often relating to the subject of aging. All Faith has known during her nursing career is how to create a resident- and patient-centered environment. Prior to joining UMH in 1996, she worked for nearly 20 years at Griffin Hospital, leaders in Planetree, a patient-centered care philosophy. Making a move to UMH was a natural transition as Bishop Wicke Health Health Center is a leader in resident-centered care. In Faith’s position as VP of Clinical Services, she oversees the care coordination for all of our communities, with an eye on not only quality of care but quality of life. Areas of innovation include tray-less dining, consistent assignment and de-centralizing leadership. 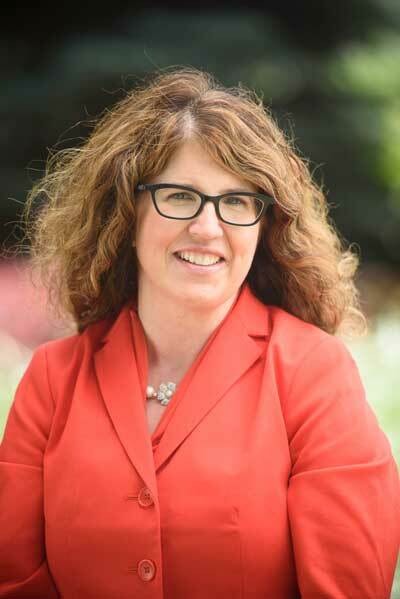 She has served as an active member of the Planetree Continuing Care Advisory Council and has presented on culture change initiatives at Planetree and Leading Age Conferences. Faith has been honored with a Leading Age Connecticut Employee of the Year Award and a Nightingale Award. During her years working in the acute care setting, Faith was recognized as the Surgical Nurse of the Year. Not only is she a nurse, she leads an interdisciplinary team including Social Services and Recreation. In her spare time, Faith loves to share her love of food and wine with others; enjoys clamming, spending weekends at her beach home and decorating and spending time with her husband, Jim.